Mürren is referred as the ultimate winter dream - tiny village resort charms its visitors with tranquillity and beauty. Breathtaking scenery at three most famous peaks of Jungfrau region combined with freshly groomed pistes makes it the place to be. If long, tranquil, queue-free downhill runs at the birthplace of Alpine skiing at a village where nothing is more than a few minutes walk sounds appealing, be sure to choose Alps2Alps for best transfer service to Mürren for the best ski holidays for you and your whole family. Mürren is a car-free village that is located in the west of the Jungfrau region, usually, it has the best snow in the area. Every snow sport fan dreams about coming here - first ever Alpine ski race was held here in 1922 by British Ski Club as well as first Alpine Ski World Championships back in 1931. Also every January since 1928 the spectacular Inferno race is held, where close to 2000 amateur skiers compete from the top of the Schilthorn right down to Lauterbrunnen (a 2175m vertical drop). Due to resorts history, the resort is especially popular amongst Brits. Mürren can be reached by train - take the train to Lauterbrunnen. 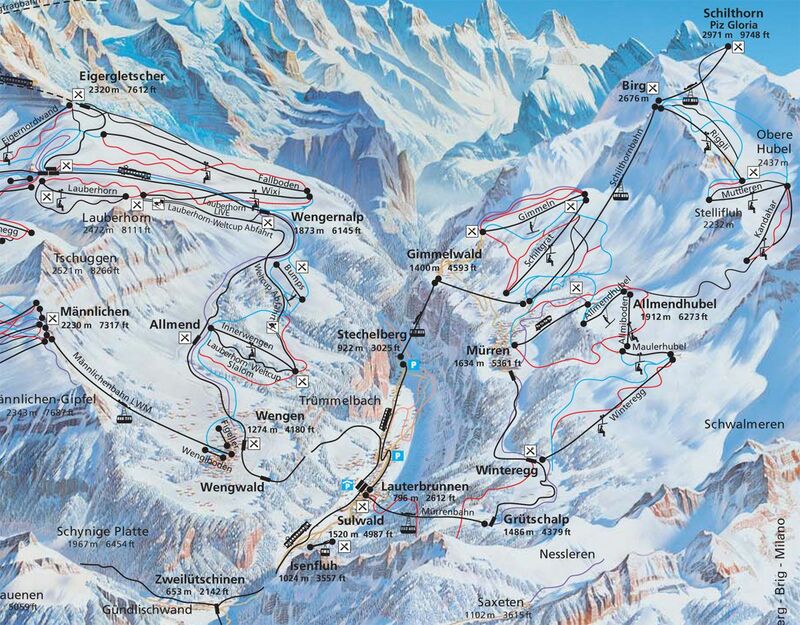 Then take the cable car and mountain railway to Mürren. Booking in midweek (Monday-Friday) means that the prices will be up to 60% lower than usual weekend prices! Also, book your transfer to Mürren during the off-season and off-peak means that your savings will be even bigger. Vehicle availability, vehicle utilization, schedule of transfers and other costs like road tolls and parking fees are taken into consideration when calculating the final transfer price to Mürren. If you are planning to travel as a larger group or there are any other specific needs, please get in touch with us directly. Mürren ski resort is a part of Jungfrau Region ski area, therefore with the right ski Lift Pass, you will have access to a total of 378km of downhill and a chance to explore Lauterbrunnen, Grindelwald and Wengen ski resorts. The local Skyline SnowPark is perfectly built for freeskiers and snowboarders. Nightlife in the resort is quite limited, therefore families can enjoy a calm vacation with spectacular views. There are special offers for ski passes for families. The local ski school takes children from five years, there is a baby slope with a rope tow and there is a children's club at the sports center. 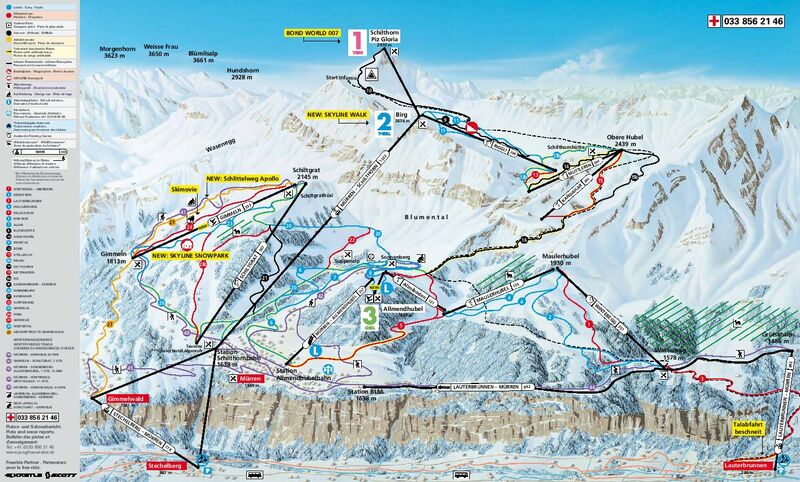 If you want to explore amazing panoramic views at a bit slower pace, then be sure to go on the excursion to Schilthorn. It is always a good idea to book your transfer to Mürren in advance to get the best possible price. If you have any questions or concerns, contact us at Alps2Alps - we will be more than happy to provide you the best service possible!